The research in our laboratory is focused on understanding and controlling surface and interfacial chemistry and applying this knowledge to a range of problems in semiconductor processing, nanotechnology, and sustainable energy. The role of interfaces becomes increasingly important as system dimensions are scaled downward. For example, most electronic and optoelectronic devices are undergoing rapid scaling, with lengths moving into the nanometer range and the surface to volume ratio becoming very large. The function of many next-generation electronic and nanoscale devices will therefore depend critically on the ability to control and modify the properties of their interfaces. For example Graphene and fucntionalised graphene represent a promising photovoltaic technology and supercapactior. The original design includes a monolayer of graphene and functionalized graphene surfaces adsorbed on a high-porosity conducting transparent electrode (the electron transporter) surrounded by an iodine electrolyte solution (the hole conductor). Functionlaised graphene surfaces/ dopant predicted to give half of the sheet resistance. 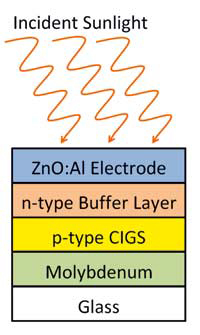 The flexible organic solar cells, which will fabricated on a plastic or Zenor substrate, retained a power conversion efficiency of 2.5–2.6%, regardless of the bending conditions, even up to a bending radius of 5.2 mm. The resultant systems are characterized by X-ray photoelectron spectroscopy (XPS), atomic force microscopy (AFM), UV-Vis absorption spectroscopy, and synchrotron methods, and by solar cell testing techniques including photoluminescence quenching and current-voltage measurements. Novel transparent conductors for Microbial Fuel Cells (MFCs) for primary wastewater treatment at Northern Ireland (NI) water treatment plant. PI Dr. Enrico Marsilli, Dr. Satheesh Krishnamurthy (Collaborator), Euros 100,000 equivalent (2011-2014), QUESTOR Funding agency. Inspirational Lecture Programme for Youth at IISc auditorium- Bangalore Nano in Bangalore 8th Dec 2010, along with Prof Sir Richard Friend, Prof Anthony Cheetam, Prof Dunbar Birnie and Mr. Stephen Bill. Prof Vasudev Aatre, former Director of Defence Research Development Organisation, India, invited me to give a lecture series for undergraduate and schoolteachers in the area of nanomaterials August 2008. Gold Nitride harder than gold, what next “Advanced nanomaterials” IIT Bombay 2008. Nanomaterials for Energy Devices, University of Madras, India, in December 2006.
alk on “Electronic and optical properties of nanostructure materials”, University of Aberystwyth, UK, June 2006. X-ray spectroscopy a powerful to investigate Nanostructure materials at R. K. M. Vivekananda College, University of Madras, India.